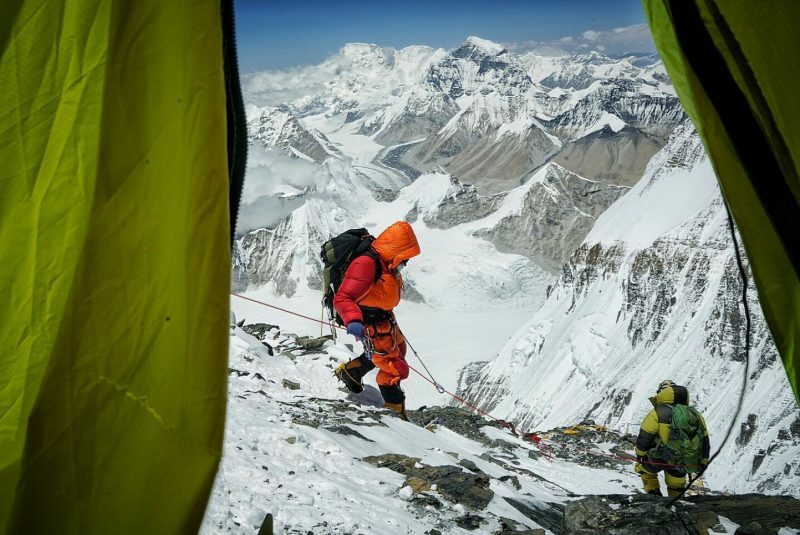 With the news that the world’s second highest peak, K2, has finally been skied from the top this summer by Polish ski mountaineer Andrzej Bargiel, about two decades after Everest was first skied, the number of the world’s fourteen 8,000m+ peaks not yet skied from the top is fast diminishing. 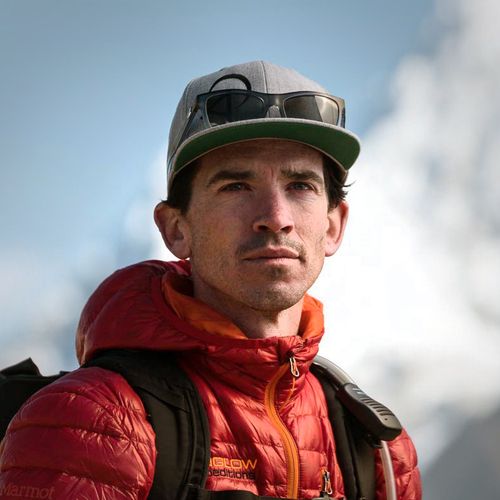 American big mountain climber Adrian Ballinger, who has already skied two 8000m+ peaks (one of them twice), his longtime girlfriend and professional rock climber Emily Harrington and two other professional climbing athletes have announced plans to attempt an ascent and summit of Lhotse (at 8,516m the 5th tallest peak in the world), then a straight and steep 2,000 metre ski down, all on “no-fall” terrain, in a straight line called the “dream line” through the Lhotse Couloir, a feat never achieved before. ITS> So no one has skied Lhoste before? AB> You are correct. The key is the couloir (steep gully) that goes from the summit to Camp 4. This section has never been skied. A number of great ski mountaineers have tried, and Jamie Laidlaw got the closest, skiing the bottom part of the couloir from about 8,000m. But this leaves 500 metres above, and this is the most challenging part. Of course, parts of the Lhotse Face have been skied. This is the section of the route from below Camp 4 all the way down to Camp 2. It is still steep and exposed and very exciting. Most times that you hear that someone “skied the Lhotse Face” it means they skied the lower half from Camp 3 to Camp 2. While still steep, this gets skied with some regularity (probably at least 25 times), usually by Everest climbers while acclimatizing. ITS> What’s your previous experience of this type of very extreme skiing? AB> I have made complete ski descents of Manaslu (the 8th tallest mountain in the world; this was the first time it was skied from the summit) and Cho Oyu (the 6th tallest mountain in the world, I’ve skied it twice). I believe this is the most successful ski descents of 8000m peaks of any American. 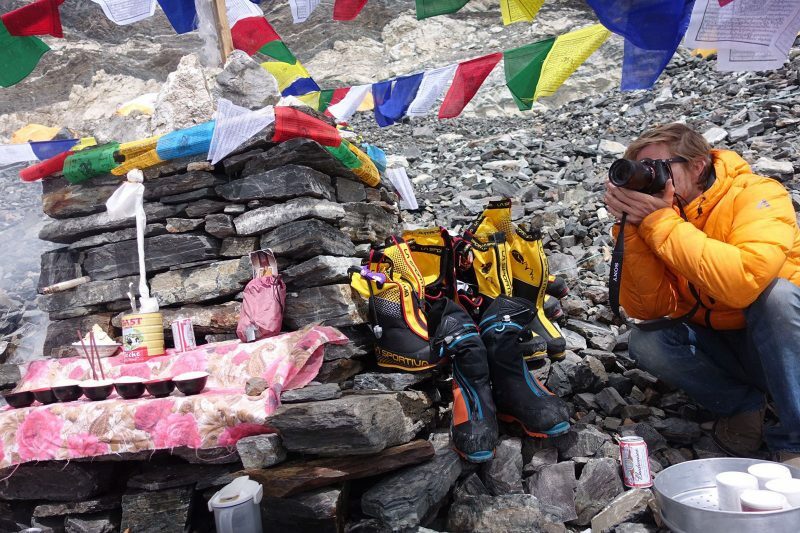 Emily has skied Cho Oyu (complete ski descent) and attempted to ski Makalu (skied from approx 7900m), Hilaree has skied Cho Oyu and attempted to ski Makalu and Lhotse and Jim has skied parts of Cho Oyu, Makalu and Everest. ITS> What are the major challenges you feel you face? AB> The physical challenge will be huge of course. But the biggest challenge will come from the hazard of skiing a line this steep and exposed at altitude. 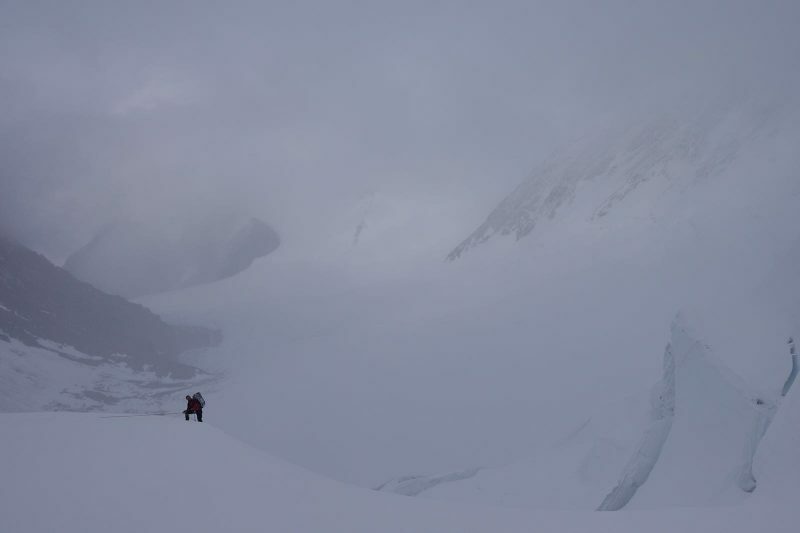 Gauging avalanche conditions can also be very difficult on peaks this big. ITS> It’s quite a rarity for the snow to be skiable on Lhoste– how confident are you that it will be? AB> Getting the right conditions is a big challenge. It’s also why we are attempting this expedition in the autumn. 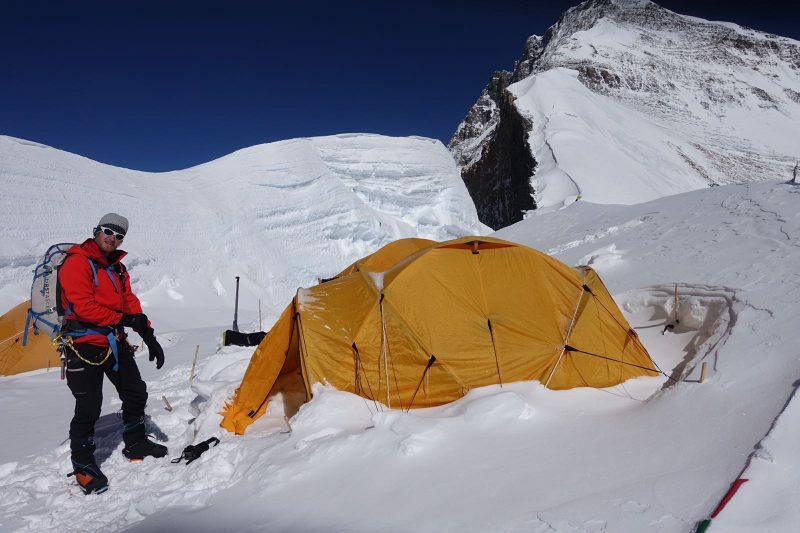 Up to this point, all Lhotse ski attempts have been done in the spring, when guided teams are on Everest and Lhotse and make the work of the expedition much easier. But all of my successful Himalayan high altitude skiing has been done in the autumn (because most snow falls in Nepal and Tibet during the summer monsoons, not during the winter). While that makes fall a much more difficult season to climb in, there is a good chance we will have more snow in the couloir. While this makes for potential avalanche hazard, it also may make the line more skiable. ITS> Have you been able to talk to any of the people who have tried to skied on the mountain before? AB> As mentioned Hilaree and I have both attempted to ski it, and both climbed to the summit in past years. So we know the line intimately. We are also friends with quite a few other skiers who have attempted the couloir, and/or skied parts of the face during Everest expeditions. ITS> Finally, what drives you to try this?! AB> A love of climbing and skiing big mountains with friends!